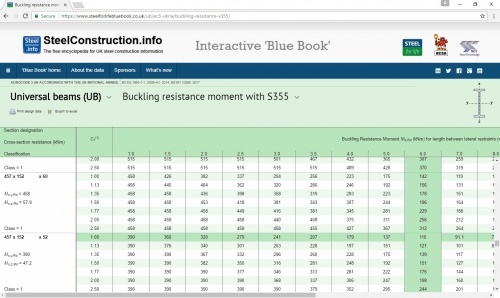 The “Blue Book”, SCI P363, is the essential aid for the design of steelwork. Comprehensive section property data is provided as well as tables of member resistances, which are given for grades S275 and S355. This enables rapid selection of steel members in compression, bending and tension. Tables are also provided for combined bending and compression, web resistance and shear resistance. The latest edition provides resistances in accordance with the UK version of Eurocode 3 part 1-1, part 1-5, and part 1-8 together with their relevant UK National Annexes.